One of my most vivid childhood memories is when I found a tiny turtle in my backyard. (Based on the old photos I have + my location, I believe it was an Eastern Painted Turtle.) I had only ever seen frogs and toads wander through my yard, so I immediately fell in love with the little guy. My parents agreed to let me keep him temporarily to see if he would work out as a pet. In the end, putting him back in the wild was the best choice for everyone, and although I was devastated at the time, as an adult, I definitely think it was the right idea. 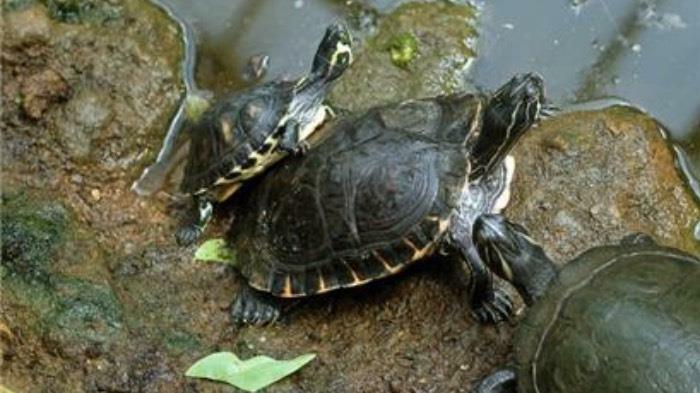 First, wild animals belong in the wild, and turtles are no exception. Removing an animal from its natural habitat (and possibly its family) is disruptive to the animal, and could jeopardize the animal's health if it's still nursing. There's a lot to learn and think about before owning a turtle that simply isn't as obvious as owning a dog or cat. Researching turtle behavior, supplies, and regularly costs is key, and will help determine whether a turtle is the right pet for you and your life style. In my case, a turtle just didn't fit into my life, but that doesn't mean turtles aren't good pets with the right owner.